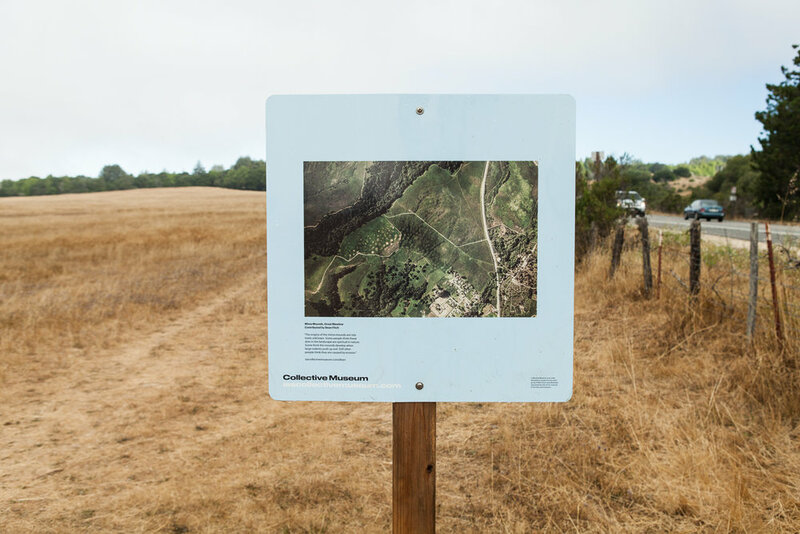 Collective Museum reimagines the entire 2000 acre University of California, Santa Cruz campus as a museum. 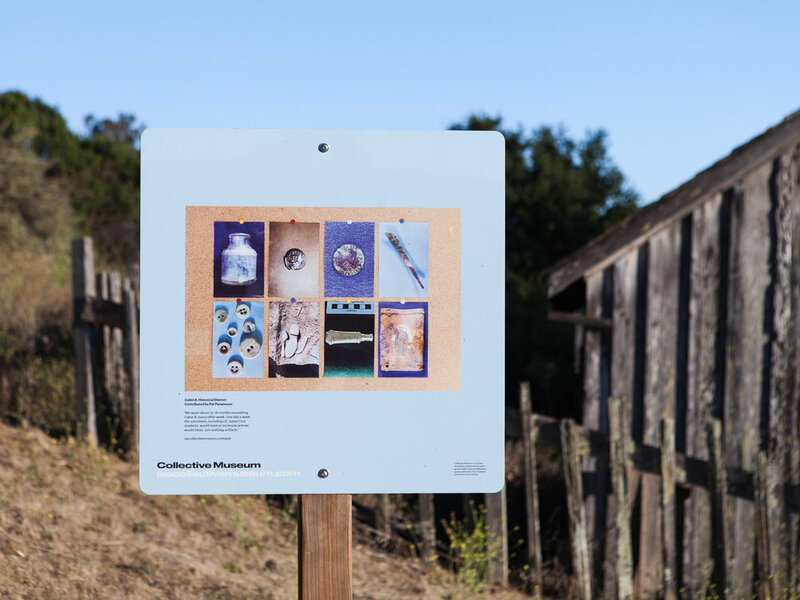 Rather than collecting objects, we collected fifty sites and their corresponding stories. 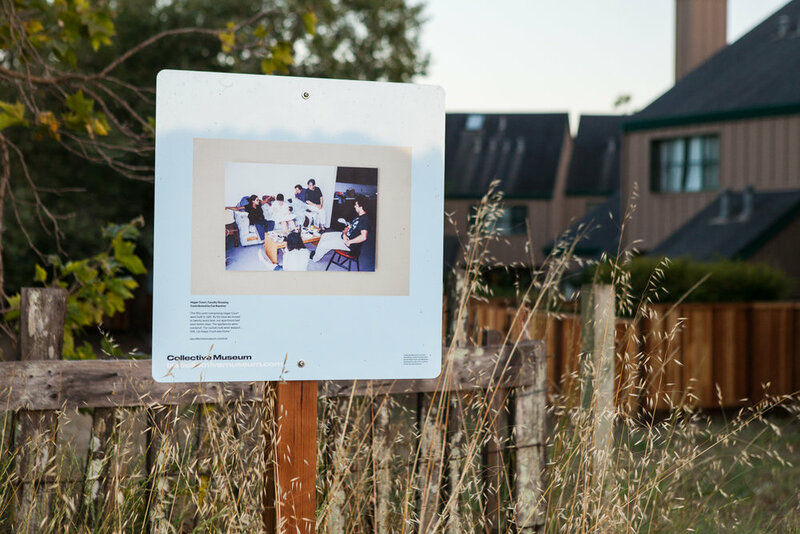 Each site was selected and narrated by a professor, student, graduate, or staff member and marked by a public sign. 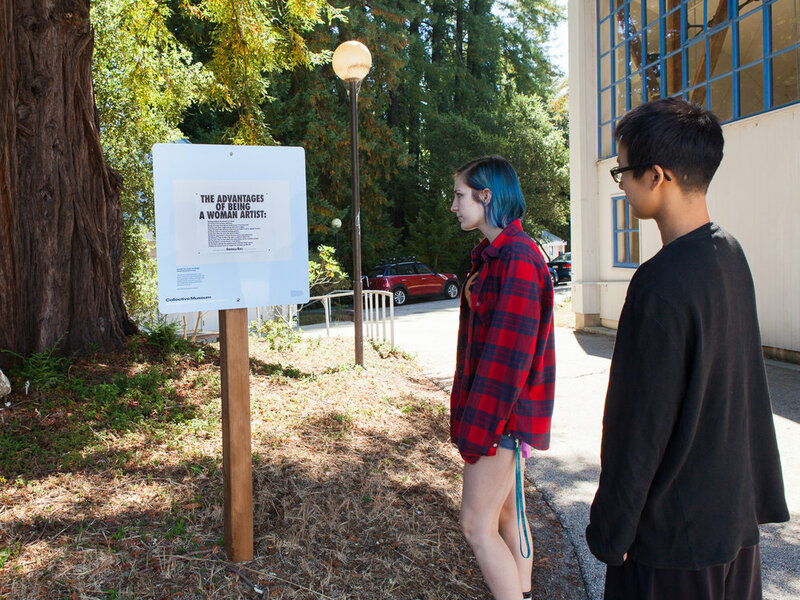 The sites are dispersed throughout the campus and can be discovered incidentally or by using a GPS-based map from the project’s mobile site. 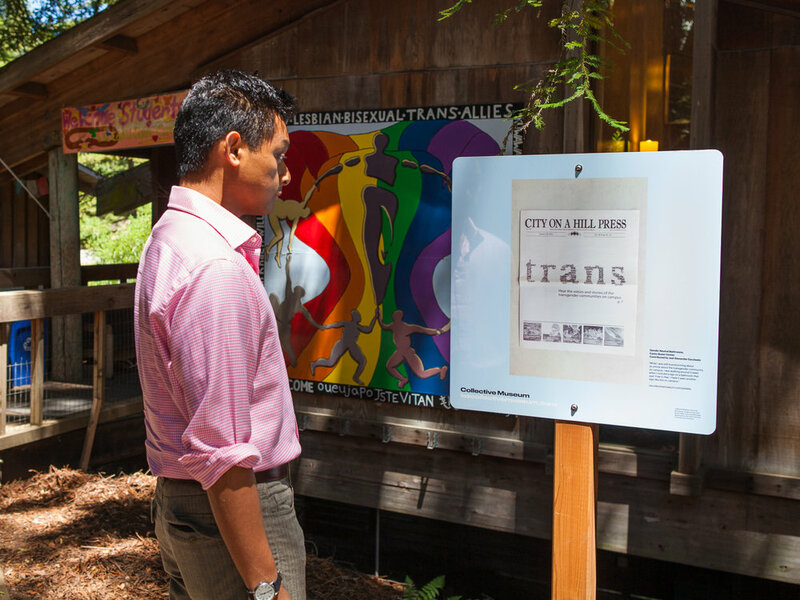 The project is comprised of many of the traditional platforms that you find in almost any museum, including a series of exhibition walls dispersed across campus, museum collection catalog, and mobile website.